Will AI Take Over Gaming (and Humanity)? The fear of a takeover by robot overlords has existed in popular culture for decades now. We can't help but worry that a technological brain will become smarter than us and balk at the status quo, imprisoning all us “lesser beings.” That fear is deeply rooted in real-world proof of concept projects that just get more and more creepy. One such artificial intelligence on that list is Angelina. 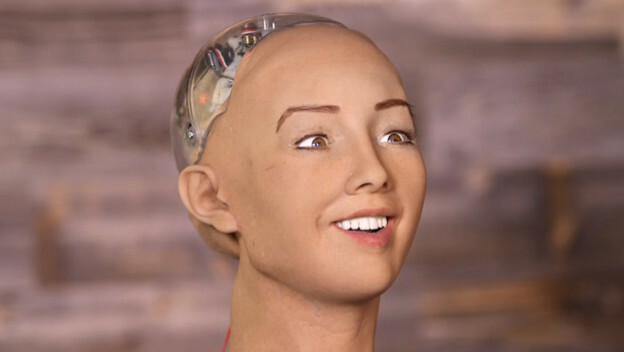 She was created by an AI researcher, Mike Cook, in order to develop video games. Another simpler (yet still potentially overlord quality) AI is from Microsoft. They're using it to find and stop cheaters on their Xbox platform by intelligently flagging suspiciously acquired achievements or rank increases. These two AIs serve completely different functions, but they both highlight a potential shift in the industry as it heads into the future. As artificial intelligence programs become more, well, intelligent, their human predecessors could slowly be replaced. We're already seeing this happen with cashiers in stores and fast food joints. A recent trip to McDonald's shocked me, as I was accosted by an employee telling me I couldn't order at the counter, but rather had to use the self-service kiosks. This is clearly the way of the future, and our society will have to learn to adapt to it. This is true for smaller positions within the video game industry. It's entirely possible that Microsoft's anti-cheat AI might become so smart that it will replace moderators on all their platforms entirely. Angelina, the game creating AI, could possibly take on the role of programmer or software developer at a big company. She might be the “mind” behind some of your favorite puzzles in platformers or adventure games in the future. Do I think that AI will be able to replace humans entirely in the game development industry? Maybe! Do I think that will happen anytime soon? Absolutely not. Artificial intelligence programs are fascinating, and the progress that is being made with them is impressive. But we're still a long way from a self-service cash register that can solve problems without the need of human assistance. Furthermore, Angelina is a wonderful little program, but the games she creates aren't super elaborate in comparison to what humans are creating. The fact that she can task you with solving a maze and create it from scratch (all on her own) is still massively impressive, but she's not quite the stellar game designer we've come to know and love just yet. The one other way advancing AI programs could improve the video game industry is within the games themselves. Developers have been using all kinds of different AI programs over the years to rule non-player characters. With those systems becoming more and more advanced, we could see characters with more realistic actions. They don't seem quite there yet on dialogue (check out any interview with AI-controlled robots or chat with Cleverbot, for proof), but like anything else technology related, they're sure to advance tenfold in a short period of time. We could be looking at a future where NPCs actions and conversations are entirely procedurally generated rather than scripted beforehand. The future we dream of, with human-level intelligent AI programs, is still just that: a dream. The related technologies are advancing every single day, and it's incredible to watch them develop. Even still, we're just not there yet. When we finally reach that potential overlord level of evolution though, we'll have to find a balance between the positives and the negatives. What do you think AI will improve in the video game industry? What do you think it will hurt? I'd love to hear your thoughts in the comments!